As we hit the end of 2017, I'm preparing to catalog and write up the year’s releases in the genres I’ve covered in my RPG History lists. I’ve assembled basic lists. They don't include everything—with a few exceptions items have a physical release or if electronic only have 72 pages or more. 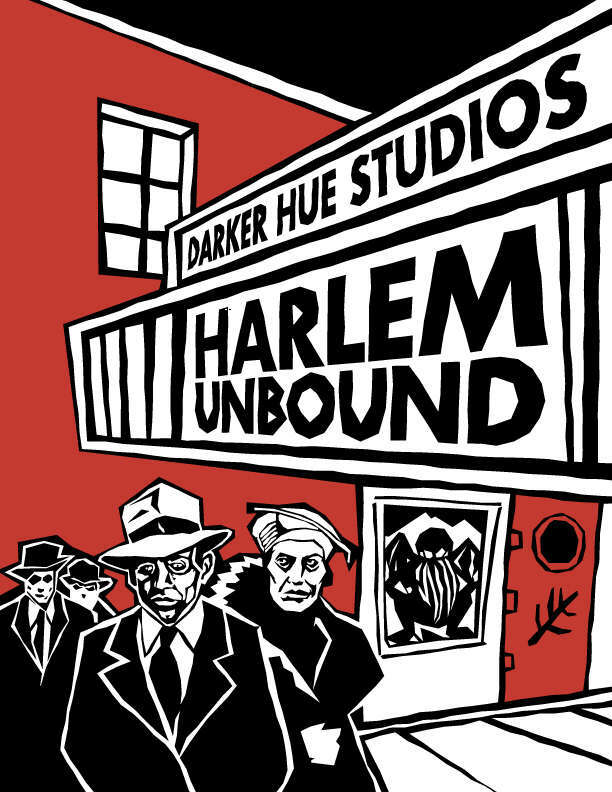 Kickstarted projects need to have delivered a final pdf in to be counted. This is a skeleton list. For supplements I've put the system name in parenthesis; otherwise it's a core or generic book. I’ll do full posts throughout the year. More than anything I want to get a sense of how many games and supplements we saw in each category. Across the board we had many more than I thought. This post just covers everything but Horror RPGs. I’ve posted those here. What did I miss? If you've spotted major omissions, give me a heads up in the comments. This is a skeleton list. For supplements I've put the system name in parenthesis; otherwise it's a core or generic book. I’ll do full posts throughout the year. More than anything I want to get a sense of how many games and supplements we saw in each category. Across the board we had many more than I thought. This post just covers the Horror RPGs. You'll find everything else here. 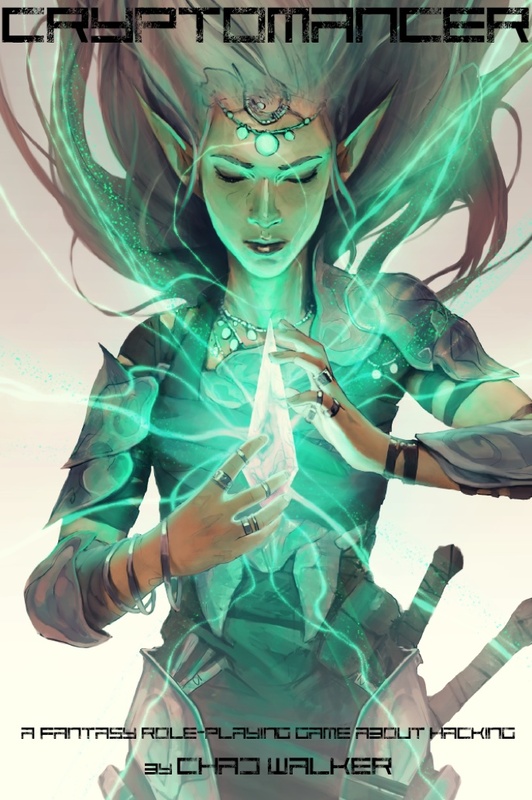 Today on the Gauntlet Podcast I talk with Chad Walker, designer of Cryptomancer. He has a Kickstarter currently running for his game Sigmata: This Signal Kills Fascists. We talk about both games, ideas of security, and how politics fit into his rpgs. You can find the podcast link here. We’ve also posted the audio on YouTube and I've linked that below. I really dug this conversation. 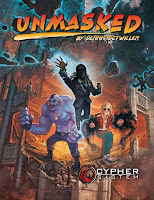 It gave me greater insight into Cryptomancer, a game that surprised me in play. It’s on my short list of rpgs to revisit for the Gauntlet Hangouts in 2018. Sherri always brings it up when we discuss future campaigns. After I ran my online sessions I wrote a post/review you can see here; that links to our actual play videos. "Black Snake Rebellion" by Ishki Ricard which delves into Native American issues and ideas. "Cable Street" by G. Michael Truran offering an alternate version of 1936 Great Britain. 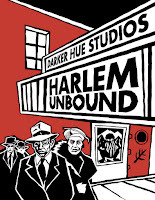 "The Complex" by Shae Roberts which combines the Manchurian Candidate with the Black Panthers. "The Missing Women of India" by jim pinto gives an alternate setting of hyper-Patriarchy and India. The campaign has several more cool ones in the pipeline, including Kira Magrann’s cyberpunk South Africa: "Chromewall." I’m glad to see the project bringing in more material dealing with representation and diversity. That’s made me even more eager for the final result. I'm cautiously optimistic about seeing more games tackle political issues, even at a tangent. There's certainly something in the air between Bully Pulpit's Winterhorn Robert Bohl's revision of Misspent Youth. I hope you'll check out the podcast; I think it's solid. November is National Novel Writing Month. While I have a couple manuscripts in long-delayed progress (of course), I’m instead devoting myself to finish a small set of projects. So I’ll be taking November off from blogging, except for the next installment of my History of Universal RPGs (and maybe another if I get distracted). I’ll be back in December. As of the moment I have three things I really want to get into a finished state: my Wulin PbtA game, a Harvest Moon-style rpg, and a working public version of Action Cards (either generic or for a campaign frame). To prepare I’ve gone through and updated my personal list of Blog post ideas. I have plenty of material to keep me occupied for the next several months. I’ve posted my "on deck" concepts below. Favorites, other suggestions, and/oror general comments are appreciated. Pandemic Legacy: What Can We Steal? I may update progress during the month; otherwise I’ll see folks in December. Cyberbunk: Either a sleeping capsule or a scam run by a Fixer. Cyberfunk: Technofuturist music co-opting AI-created musical scores. Cybergunk: That unsightly build up on ‘Netrunner decks that comes from a combination of Cheeto dust and aerosol energy drinks. Cyberjunk: Some of the games on these lists. Cyberdunk: The forthcoming gritty VR reboot of Space Jam. Cyberlump: Every cyberpunk roleplaying book condensed down to a 1x1x1 cube. Cybermonk: The obvious full-on VR cyberpunk wuxia mash up. Cyberpong: The ultimate old-school retro experience. Alternately: the scent of a street samurai. HEY!I have a Patreon for these lists. If you like them, consider contributing or resharing to spread the word. aka Bounty Hunter, a French rpg. 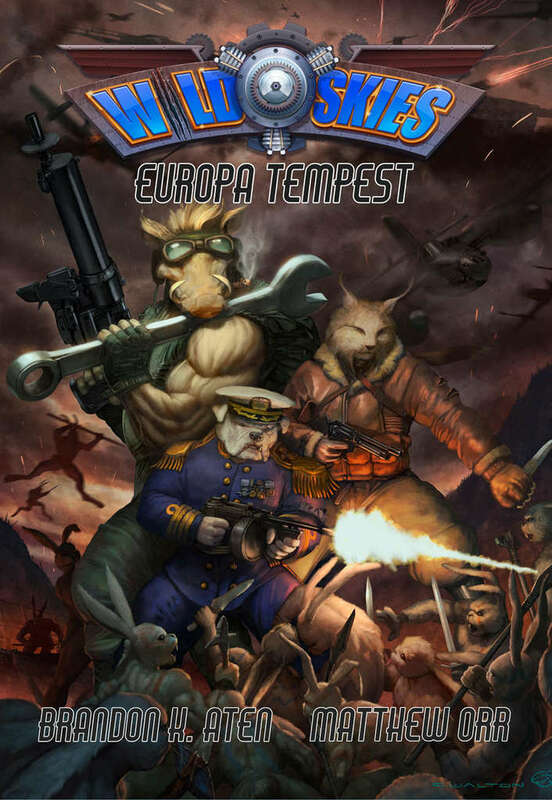 Characters play enforcers, often for corporate forces, in "Super Europe." I love that phrase but I'm guessing Hyper Europe or something like that would be a better translation. The game itself takes place 60 years in the future. Like many other marginal games on these list, it has cyberpunk-style tech, lots of guns, and an action game bent. The publisher only released a core book and GM screen. A cyberpunk scenario/setting for Fate Core. In 2073 megacorps and discontents battle for control of a technology known as Aeontech. This has fueled most of the advances of this dystopian future – in computing, nanotech, energy, and beyond. But Aeontech isn’t native. Instead it came from Mars in a blast transmission from an ancient alien satellite. 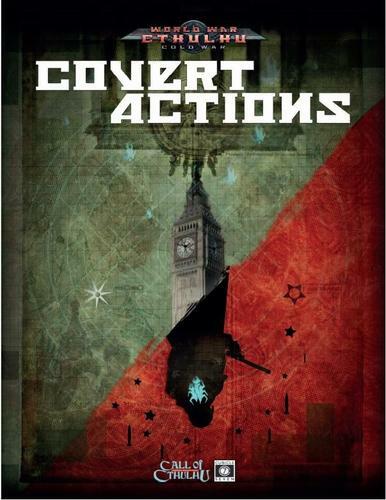 The initial decryptions spawned developments and knowledge that destabilized governments. But that research has only just begun; who knows what else will be discovered. In Aeon Wave’s scenario freelancers investigate the death of a scientist, with payment in Aeontech knowledge. As with all proper cyberpunk noir, it gets much more complicated from there. It's a well written and presented adventure. Key characters get individual write-ups complete with new Fate stunts. It's a solid example of how to preset an open-ended Fate adventure. It has enough material that it could be used as a campaign starter. Ha ha ha…wait you're serious...? I love crazy mash ups. Love them. Usually in rpgs we just see systems repurposed for other genres (like doing a Star Wars Bounty Hunter game with Monster of the Week). Achtung! Cthulhu: Full Metal Cyberpunk Interface 19.40 (AC: FMCI) crosses two settings, a rarity. 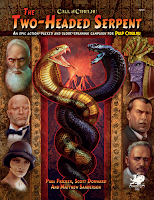 This sourcebook/adventure contains stats for both Call of Cthulhu 6th edition and Savage Worlds. It’s split into two parts. 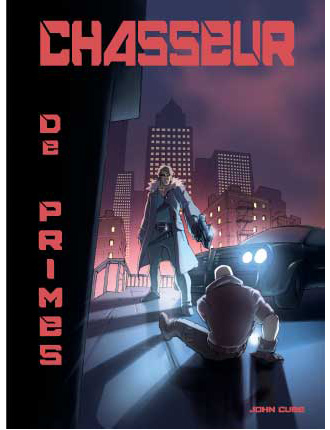 The first gives a solidly cyberpunk world, but one shaped by the events of a Mythos-rich WW2. It draws a historical parallel between the two periods. It also explicitly ties the cybernetic and other aug-tech developments of 2090 to the mad science from the weird war. There's a lot of backstory here. Rather than provide mechanics, AC: FMCI has tons of setting fluff. It spends a chunk of time presenting cyberpunk-like augments in the context of the war and then what that stuff looks like in the future. So fully half the first book isn't really about the setting you'll actually be playing in. Are we supposed to use this to play a cyberpunk game? The second half of the sourcebook makes me think not. Here that past material becomes relevant. This moves me into spoiler territory. However the basic shape should be obvious: an adventure shifting characters from one time period to the other. It's a cool idea, but not really in my wheelhouse. 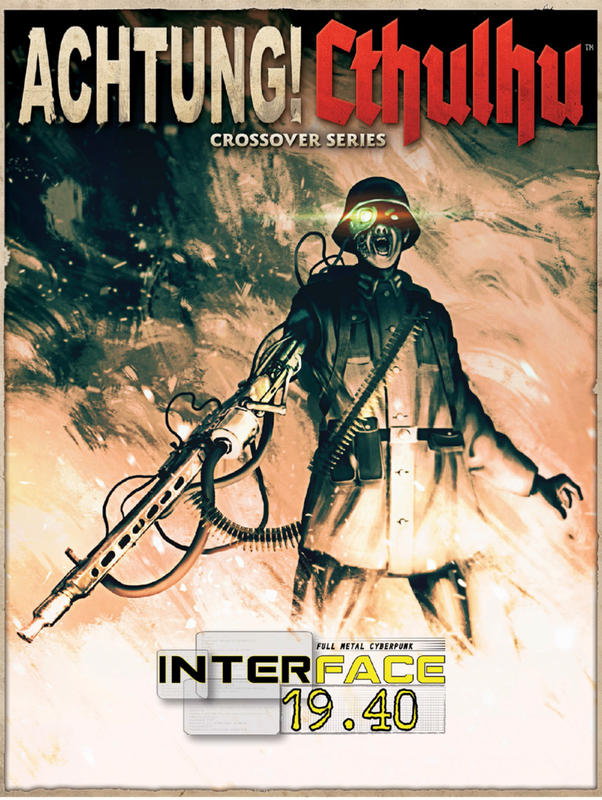 AC: FMCI has a niche audience: those interested in weird sources for cyberpunk tech, tying history to the future, and/or digging Achtung Cthulhu enough to want to have it infect other games. It’s a little bit of a mess—with more ideas than coherency. But some of the best rpg material does that. AC: FMCI isn't the only book in this crossover series. Two other supplements connect AC to more WW2 leaning settings: Godlike and Dust. 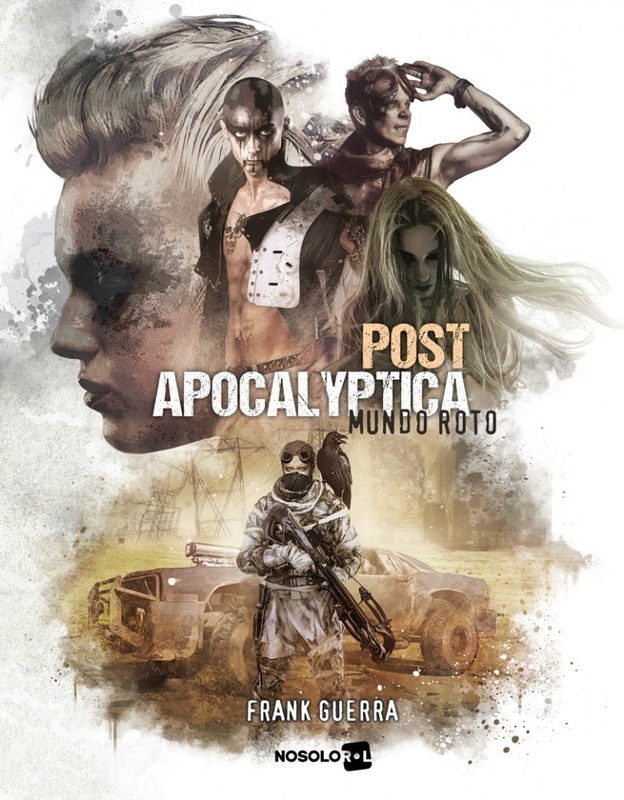 A post-apocalyptic game with heavy horror, supernatural, and conspiracy elements. Still it has enough cyperpunk trappings to make the list. Fractured Kingdom takes place in 2202 after a hundred-year war in which the Church of the Redeemer destroyed science, technology, and advancement. The world has begun to bounce back but still remains a century behind its height. Tech exists and surrounds humanity, but it's a mix of cyberpunk and lost arts. Corporations run the show, having the greatest control over these resources. People hunt the ruins for devices, but often have no idea what these things do. I dig the concept of people having access to automated and cyber-tech but no understanding or means to repair that. That’s a dynamite hook. But Fractured Kingdom wants to have heavy supernatural elements in the form of "Lucids." These persons possess strange, supernatural powers. They gain these by travelling to one of the four Outer Reams (Dark, Grave, Slumber, or Verdant). Their particular powers depend on which realm they entered. The PCs are Lucids, trying to survive in a fallen world filled with secret agendas, occult conspiracies, and ruthless corporations. It’s a kitchen sink setting with a dose of Mage: the Ascension, Over the Edge, and cyberpunk. Fractured Kingdom came out of a Kickstarter project. The publisher has only released the core book and a small freebie module. Reviews are generally favorable. I don't think that's the intent, but when I see this title I imagine spaghetti or spasms. Why is it called NeuroSpasta? No idea. There's no explanation in publisher blurbs or the first 50 pages of the core book. They thought it sounded cool? YRMV. NeuroSpasta's set in the city of Archon at the end of the 21st Century. It's "…a city with no loyalties, no nationalities, and no ethnic superiority—a city built to shepherd a new age of world peace." As expected there's a dark underbelly with factions working to undermine or destroy. The designers describe the setting as "highly political." They stress several differences from traditional cyberpunk: political intrigue over megacorp dominance, an apparent utopia, subtle cybernetics, and people hacking. NeuroSpasta has several versions. It originally came out for D&D 4e & associated revisions. 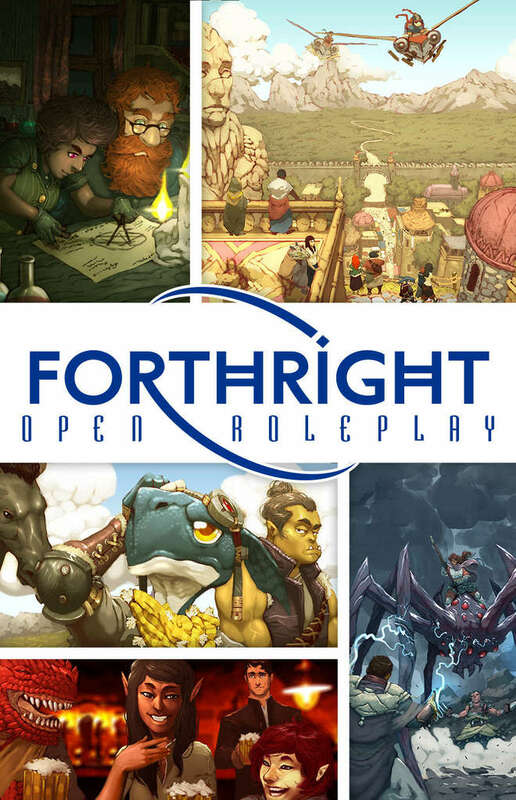 Presently development focuses on Pathfinder and D&D 5E. The system feels trad d20: new races (phenotypes), classes, feats, prestige classes, equipment, etc. Overall it looks like one of the richer d20 cyberpunk settings. The art and layout's decent. You're still buying more mechanics and system than you are setting. Perhaps 50 pages out of 300 focus on background. Beyond different rules editions of the core book and a single short gazetteer the line hasn't grown. In a future dystopia where megacorporations have seized control, some citizens still fight back. But they're often pitted against a growing number of outcasts possessing terrifying psychic powers. It's a great dynamic that shifts away from the usual binaries of cyberpunk rpgs. Psi-Punk’s a complete roleplaying game, powered by Fudge. 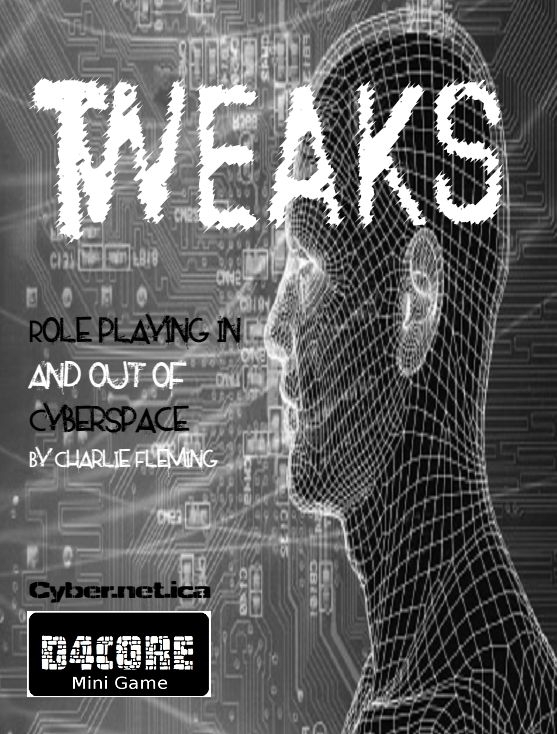 It's a neat set up and Psi-Punk elaborates the simple Fudge mechanics with rules for psionics (and magic), cybernetics, and hacking. 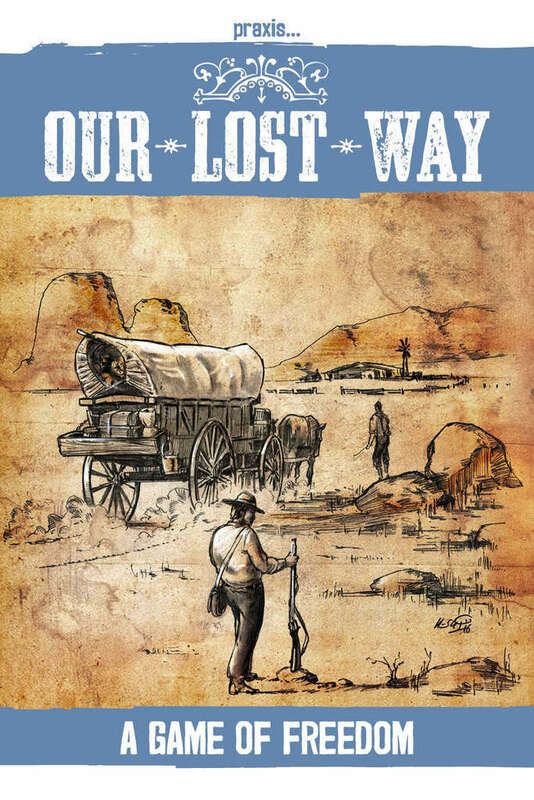 The core book includes strong world details, GM advice, and a sample adventure. I like the concept of centering a cyberpunk game around psionics. We've seen others include a modest sub-system or go full fantasy with magic, but few have revolved the game around psychic abilities. It's certainly more robust than Psi-World. Cybergeneration comes the closest, but even that has a second agenda of youth vs. elders. 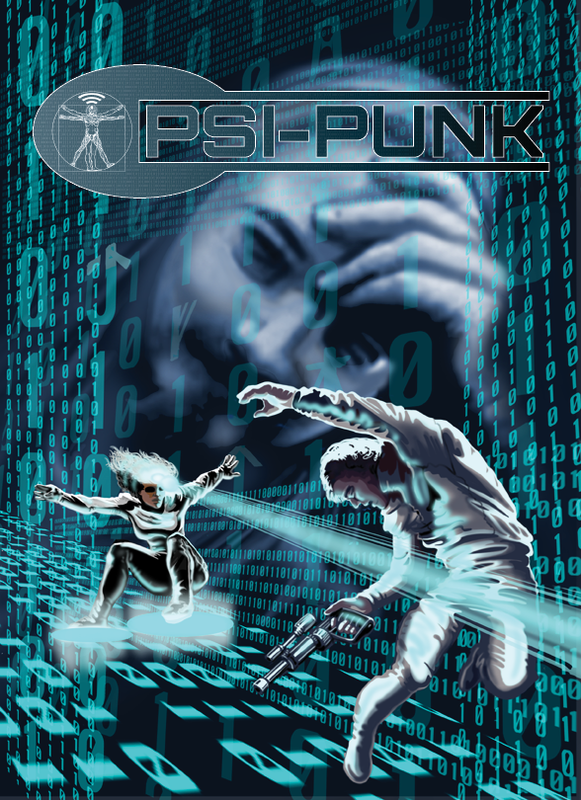 Psi-Punk opens that space up but still feels strongly cyberpunk. 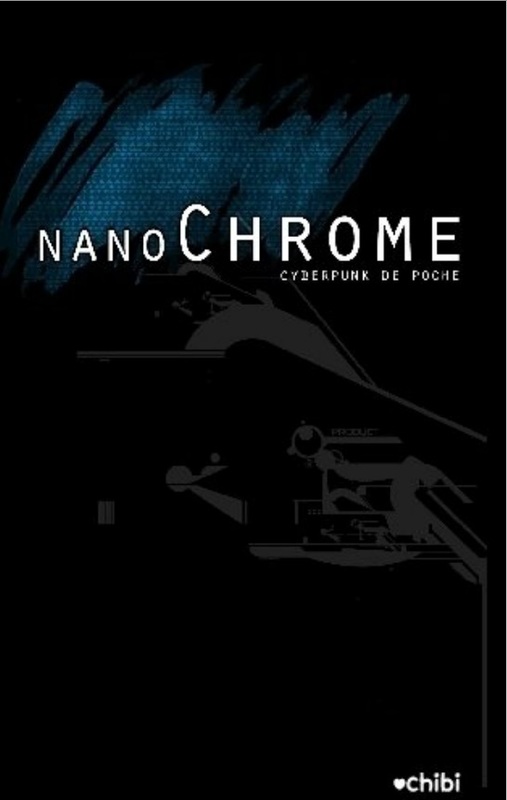 A small Lulu-POD French rpg which pays homage to old school cyberpunk. It has tight rules with a complete book over a little over 100 pages. nanoChrome contains tools for generating the world. It follows the approach of Kevin Crawford and other OSR designers. That's alongside a simple 3d6 system, apparently borrowed from the fantasy rpg Dragon de poche (aka Pocket Dragon). Reviews on LeGrog are uniformly positive, stressing how simple but robust the game feels. Part of a series of simple and complete genre games using the OneDice mechanics. As you can imagine, it requires only a d6 for each player. OneDice Cyberpunk offers rules, thirty pages of setting & GM advice, plus two "skins" for new worlds: Machine Worlds and Post-Apocalyptic. The tightness of the skill-based system means that you don't need an additional core book (like OneDice Universal). Characters have 3-4 ability scores, three calculated scores, a background, and a few skills. The book’s light, with slightly cartoony line art. But if you just want to try out cyberpunk at your table, this might be a good choice. 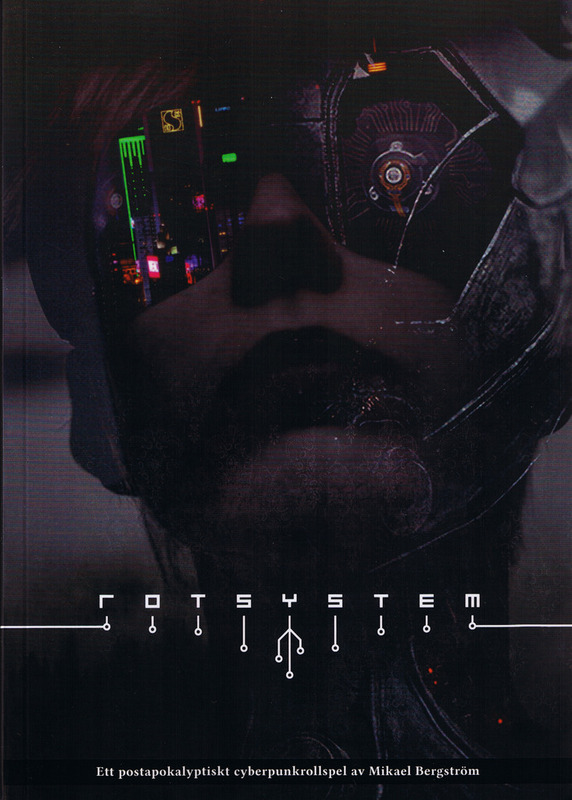 Or in English, “Rootsystem.” A Swedish post-apocalyptic rpg. It presents the age-old story: Man meet Nature, Man Ravages Nature, Nature Ravages Man, Man Retreats to Mega-Cities, Nature Takes Over. Within the cities, humanity battles against dominance by corporate overlords. The game calls itself "retro-cyberpunk." In this world people have "no wireless networks, no satellites, no cell phones, no GPS." The Green World outside has a form of communication which can bore into and take over systems using those frequencies. So I think they have a more “hardware hacking” approach. I like that, and it suggests an interesting Dieselpunk tone. The artwork's striking as well. A cool done-in-one game which I hope will eventually see an English translation. 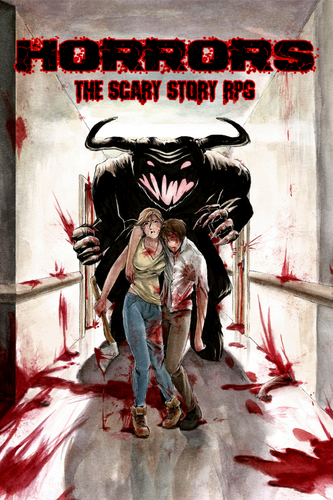 The Swedish original can be purchased PWYW from DTRPG. 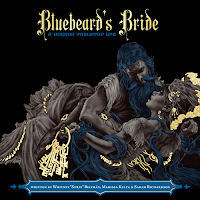 Subtitle: “High-Tech Low-Life Role-Play.” Another successful Kickstarter, Bleeding Edge comes from Sanguine Games, publisher of Ironclaw & Jadeclaw as well as several other lines. It's a relatively recent game, meaning reviews have been hard to come by. The $25 price tag for the pdf also puts it a little outside an impulse buy. It feels like a kitchen-sink cyberpunk game, with strong anime inspirations: lots of choice, but little focus. There's a timeline and gazetteer of the info-dump variety. Bleeding Edge’s system "build(s) on SRD's proven technology." By that I think they mean the d20 SRD. It seems an odd way to put it. The game drops the d20 in favor of 2d6. Beyond that I'm unsure. I'd hoped to find a sample character sheet, but no luck. 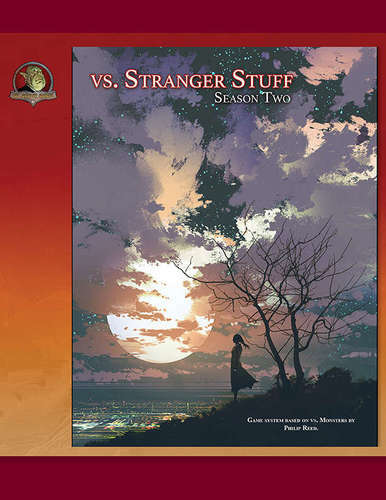 Preview links beyond the cover image on DTRPG seem to be broken as well. 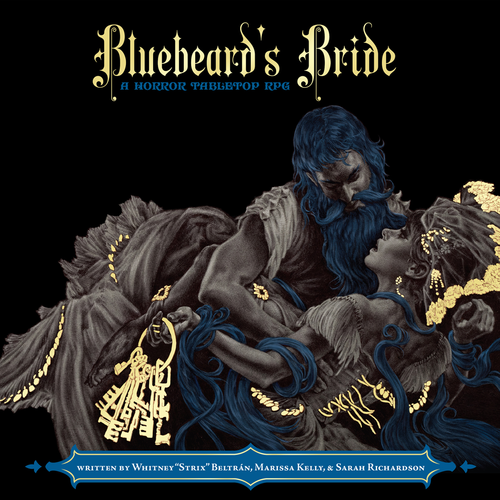 There's a kind of funny review of this on RPGNet. In opens by claiming cyberpunk died the second it became a thing. There's a long digression on that negative position in the article. It's a review that name drops Naked Lunch, Gravity's Rainbow, and The Godfather. It has good detail on Bleeding Edge if you can move past the posturing. It may be parody, but Poe's Law holds here. 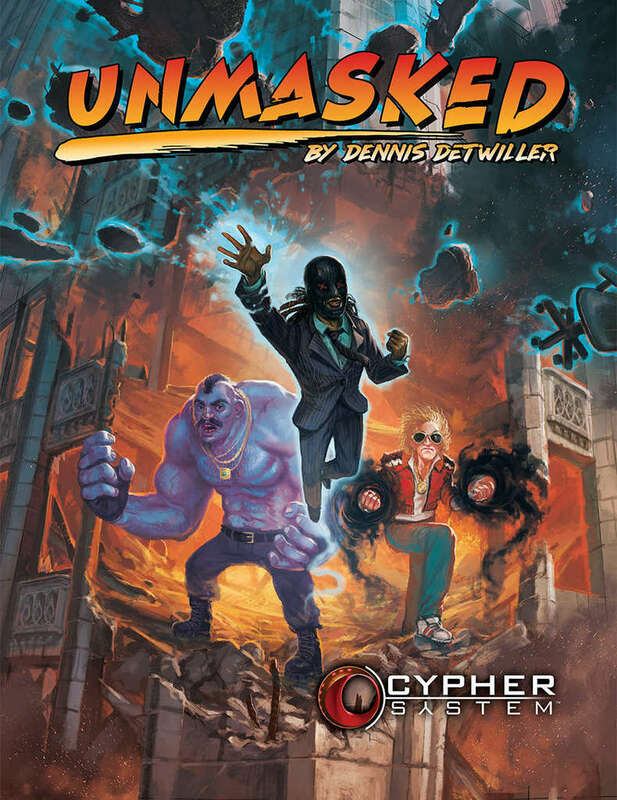 2016 saw three new PbtA cyberpunk games-- the first ones to adapt those game elements to that genre. Headspace's the firstI played, a pre-release demo at Gen Con a few years ago. In Headspace you run a linked group of operators. Each person has a role in the team. But all members of the team have had their consciousness linked together. In play that means everyone can draw on each other’s skills, but at a risk to the group's stress and emotional stability. Absent roles and dead characters can remain in the shared space as ghosts. 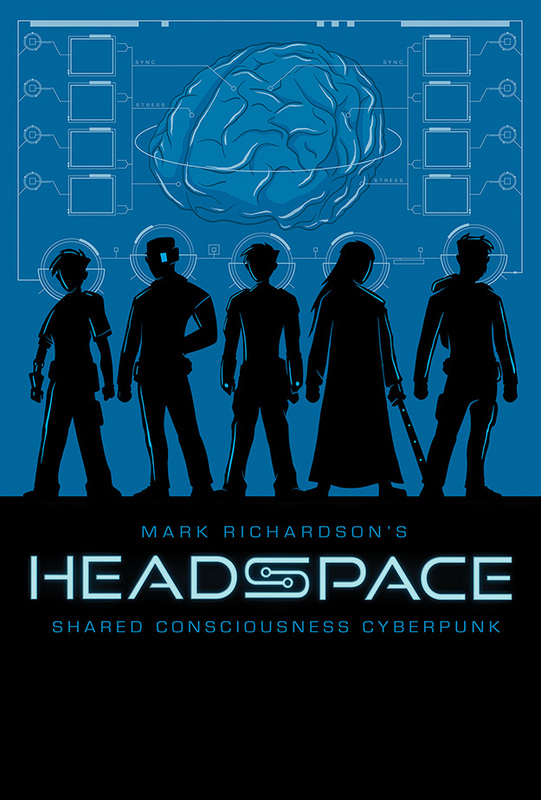 Headspace has a striking concept, and it’s the most tightly defined of the three PbtA games. Headspace takes place in a detailed, post-crash world. While there's some collaborative building, Headspace presents an established backdrop. That isn't to say its monolithic; the back of the book presents several different flexible locales. Players work to uncover and disrupt corporate and government plots. In a Slack comment Robert Ruthven put some of Headspace in context for me, "There's...an atonement aspect to Headspace, since all the PCs are ex-corporate operatives turned against their former employers." I like that- it isn't exactly the mission-based approach of The Sprawl (see below) but it does define the play. Headspace offers a ton of tools for tracking these organizations and their plots. That level of detail-- there and throughout the rules—might be why Headspace doesn't click with me as much as other cyberpunk games. It has extensive moving parts on multiple levels. While I might not run it, I'm not disappointed I backed the Kickstarter. 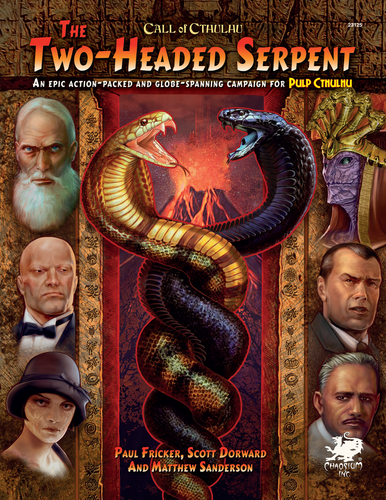 The core book has a host of great ideas and approaches to borrow for other games. Superhero cyberpunk for Pathfinder and D&D 5E. Before I begin, can I just say how much the Hypercorps 2099 Primer made me smile? Because everything there has the prefix “Hyper” on it. Hyper Score, Hyper Bonuses, Hyper Feat, Hyper Abilities, Hyper Lucky, Hyper Reputation, Hyper Flaws, Hyper Routes, Hyper Grades, Hypernauts, and more. Hyper is the new cyber. 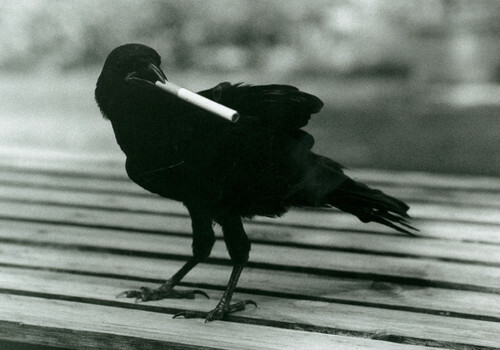 It's wonderfully gonzo and yet so serious. And crunchy. Really crunchy. The character sheet is crazy dense with font choices that don't help it at all. Hypercorps sells itself on the transition from fantasy gaming to something different and new, a game genre unseen before: "Hypercorps 2099 is about high-octane, adrenaline-filled missions in a dystopic future where uncaring CEOs are the master villains, not the typical quests of medieval adventure in which liches and thieves’ guilds are the culprits (though in a super-powered fantasy future, it’s a good idea never to say never). Operators (the adventurers) are grittier than the typical party—even paladins need to eat—and making a living at the dawn of the 22nd century isn’t always going to be honest or virtuous." There's an interesting subtext there, deliberate or not, that gamers wouldn't be aware of these kinds of "cyber" game genres or conventions. The world itself arises from an 1876 time-traveler going forward 200 years. His transition creates tears and disruptions across the world. 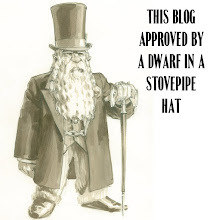 That spills all kinds of fantasy creatures into the 19th Century. Then there's occult experimentation, mutations, and a long and detailed timeline. Eventually we get to the present kitchen-sink world of Hypercorps 2099. We have cybernetics, big guns, and operators who jack into the Hypernet (there's one I missed). The system feels like a standard SRD/d20 adaptation: new races, feats, classes. It’s the usual fare. The Rifts-esque setting including vampire lands, mystical Kathmandu, and apocalyptic Cleveland. The publisher has released a couple of supplements in both system flavors. They've also been enthusiastic enough to create a whole alternate reality line for the game: Hypercorps 2099 Wasteland. 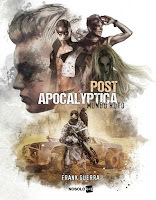 There the events of the past don't lead to a hypertech dystopia but instead a post-apocalyptic landscape. Set in 2233, Project Darklight is one of the later dystopian futures. It also has multiple worlds, a relative rarity in these games. The rpg takes up after a lengthy set of corporate wars leave only three corps standing. But the extensive conflict has woken many citizens and factions from their slumber. Now they're fighting back against the corporations' efforts to reclaim territory and status, selling "Project Darklight" as a way to prosperity and safety. These are new technologies, well beyond the present levels being pumped out from a secret research facility. The scale and scope of these technologies leave many wondering as to where they actually come from. Project Darklight's built on Wordplay, a generic system I've talked about on other lists. In it you define characters via Traits-- words or phrases. Players may generate their traits in a number of ways. It's a process similar to HeroQuest. They can make a simple list or write a story and pick out elements. Unusual powers have their own mechanics, but generally operate by the same trait system. The system's heavily narrative and fairly simple. It takes a fully generic approach, lacking distinct sub-systems. Everything can be handled via the resolution system. It doesn’t require further articulation. I like this simple but character-detail rich approach. That simplicity means that you get a greater focus on setting and theme in the material. Project Darklight presents that well; it breaks up sections with overview lists for example. It has the classic cyberpunk tropes, but within a larger, interstellar, context. In other hands that could feel gonzo and kitchen sink. Here it works. I'd recommend this to someone wanting a longer-term cyberpunk story game. What The Sprawl does, it does well. 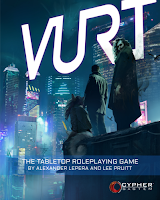 It’s the second of the trio of cyberpunk PbtA games released in this period, the first to actually see print. 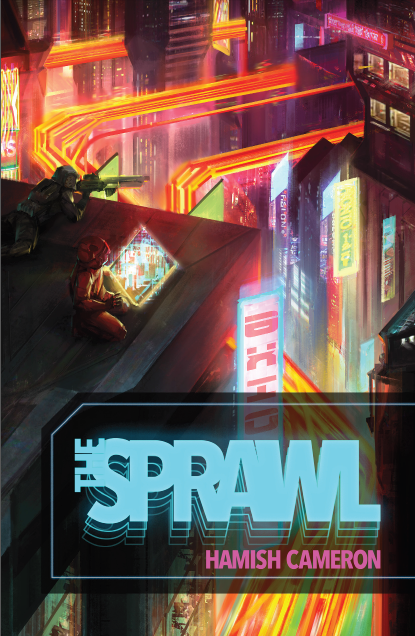 The Sprawl simulates classic, mission-driven cyberpunk adventures. There's a structure to the sessions: get a job, plan a job, execute the job, get paid, clean up. It's one of several recent games with a baked-in game sequence (Blades in the Dark being another). It is possible to broaden that approach over time; the book provides advice for doing so. But that will probably be after multiple missions. Played straight, The Sprawl's a seriously lethal game. I ran ten sessions online and I nearly killed a PC (or more) in most of those games. Eventually the players learned how to manage risk; that’s an awesome arc for play. You can see my longer examination of The Sprawl here. Long story short, I dig The Sprawl for what it wants to do. It's excellent within that mission-driven framework. I can see ways to expand that, but it hums in its element. I particularly like the way players collaboratively build the world. They start by creating the corporations which define it. That gives the game a clear focus. If there's one weakness, that would be in the Netrunning rules, always a sticking point for cyberpunk games. But that may be more a weakness of my execution. I only had one runner when I ran and I maybe gave short shrift to those elements. That’s a tough balance. There's a lot of amazing stuff in The Sprawl (the use of clocks, for example) that any cyberpunk GM should examine. I've written a longer piece with my impressions, but I'll condense and focus those here. 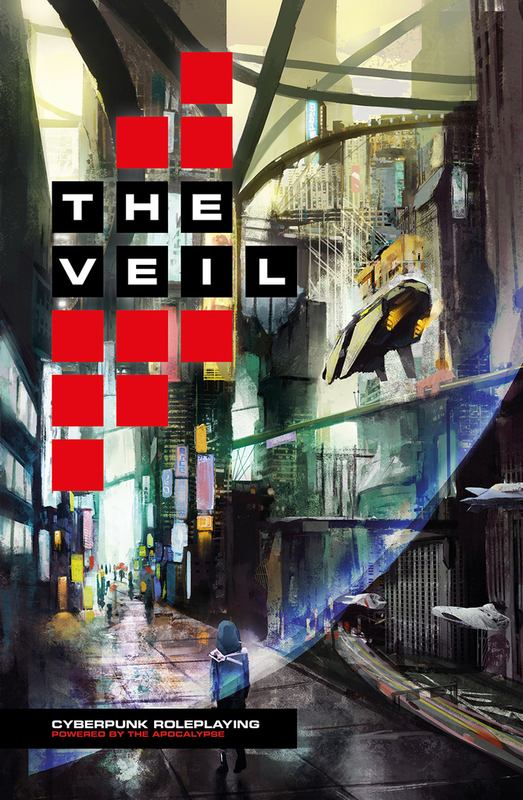 The Veil’s a PbtA game with a looser setting than many cyberpunk rpgs. Here player/MC collaboration creates the world. We’ve seen that before with The Sprawl, but that has a strong story structure echoing classic burning chrome and grimy operator cyberpunk games. The Veil has a single key setting conceit, the Veil, a level of augmented reality everyone’s plugged into. Several actions in the game tie to the Veil literally and metaphorically. At first I wasn’t sure about that, but a couple of sessions in I saw how much you could shape the concept of the Veil itself: how it works, what it does, how potent it is, who has control. 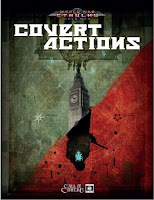 Like other PbtA games, The Veil has playbooks. They’re all striking and distinct, carving out their own niche in the fiction. Each has a small, but evocative set of unique moves. But as important as the moves, each playbook contains background questions and decisions. These aren’t just the usual relationships and backstories. They ask you to define fundamental aspects of the world and your role in it. Each has something that it establishes about the world. The Catabolist deals with cybernetics and implants. The Apparatus is about artificial life. The Architect covers the metaverse & Veil. 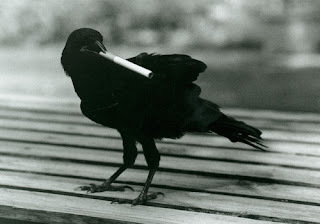 The Wayward decides what lies outside of the urban world. Playbook choice has a dramatic impact on the game you’re going to play. The combinations and interactions of the playbooks within a group create a distinct play universe. There's more but I think what strikes me most is how quickly The Veil generates interesting stories. 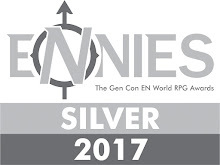 The best PbtA games do that quickly and capture the feel of the genre. I've run The Veil more than a dozen times and each new world has felt distinct and vibrant. I'm not saying the game is perfect. It has some mechanical clunkiness in a few playbooks, more terms than necessary, a lack of character material in the core rules, and the need for another editorial cutting pass. 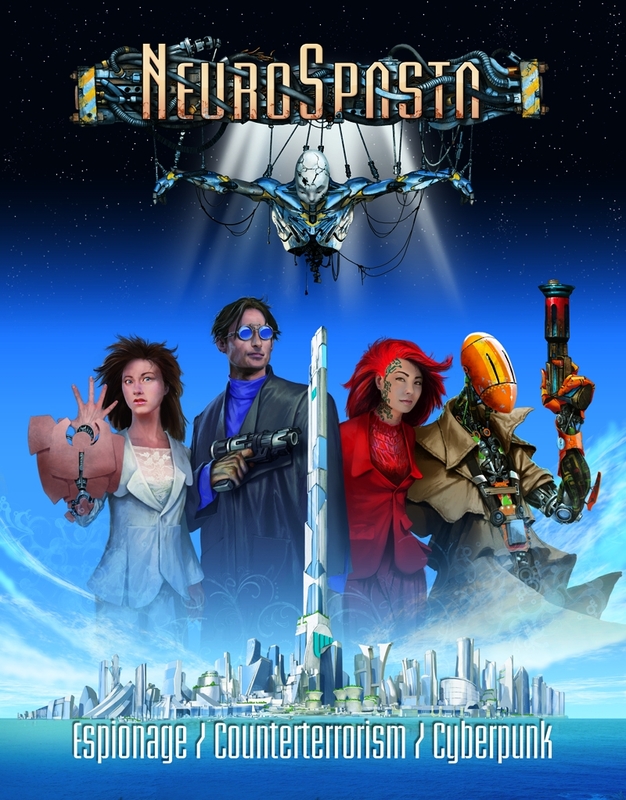 But it's solid and not just one of my favorite cyberpunk rpgs, but one of my favorite rpgs period. If you're looking for classic cyberpunk this isn't it. But it is a game where you can really explore the themes and ideas of that genre, often without killing anyone. Games which lean into or have some of the cyberpunk trappings but which didn’t match my arbitrary and hidden data assessment. 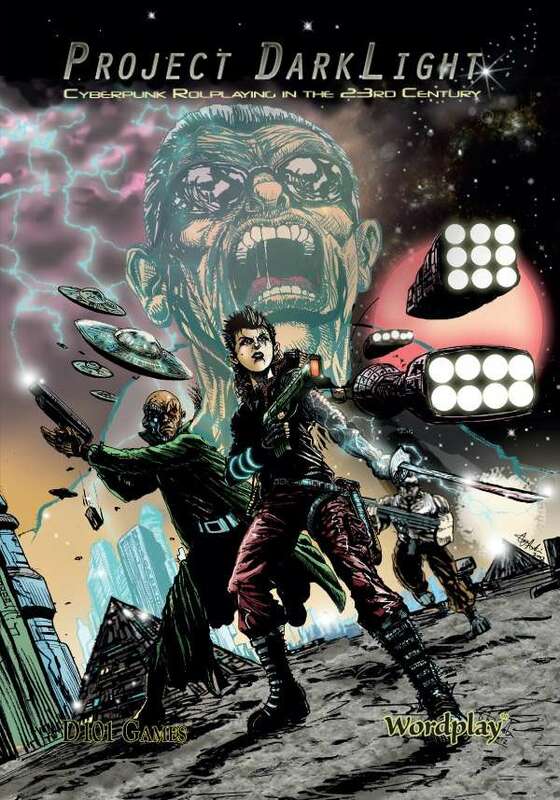 Falling Stars: Alien races, tactical combat, corporate intrigue. Kaisho: Global cataclysm followed by world flooding followed by alien invasion. You’re part of the resistance in a setting with tech like skill injections and chi manipulation. MERCS: An Italian Savage Worlds campaign book. Players become space mercenaries in a cybernetic future. Shades of other big guns games like Mutant Chronicles. Robotic Age: Here androids and humans struggle for rights, control, and status. It's a world with easy access to tech and dangerous wepaons, alongside strong social divisions. 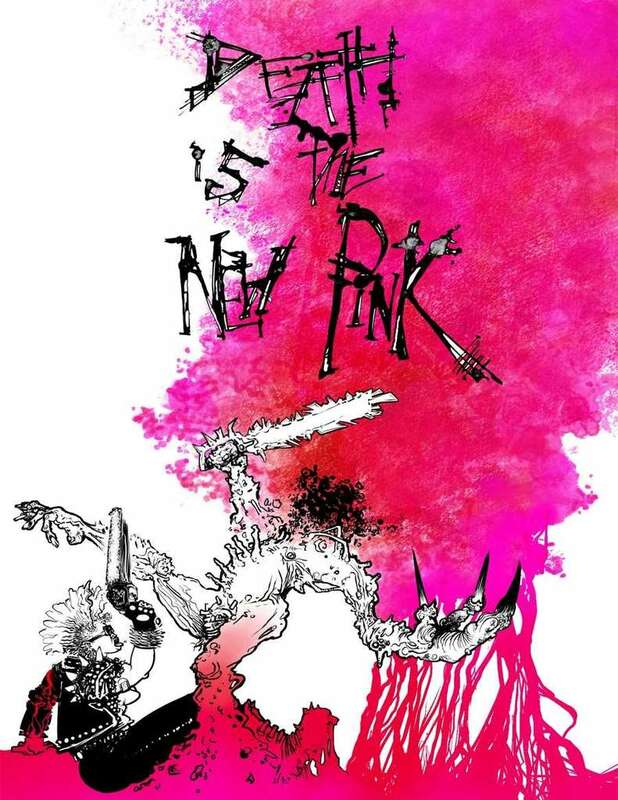 Despite that seriousness the cover and the interior art has a cartoony quality. And big guns. 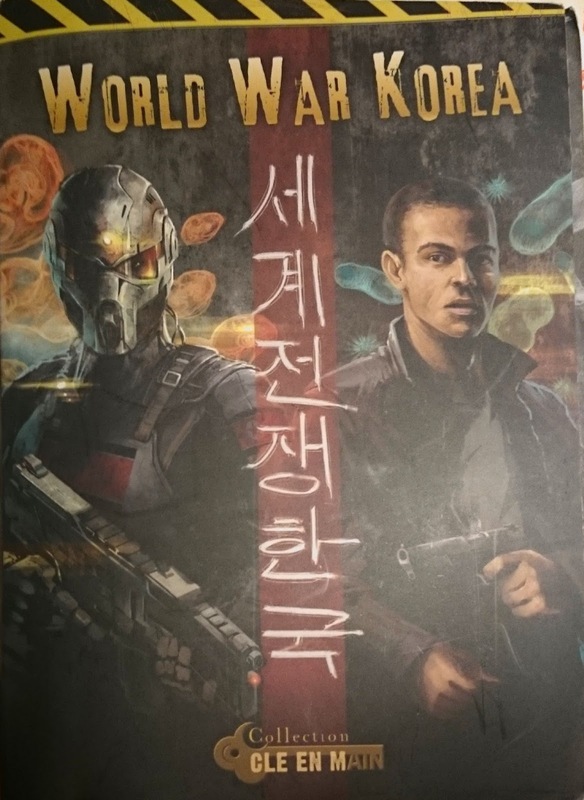 World War Korea: A French “turnkey” campaign set in a near future. Players race to thwart the schemes of multinational corporations. Timely. The Zombie Squad: Prisoners of the corporations “volunteer” to be heightened soldiers under their control. Arbitrarily cut off at products with at least two dozen pages. always/never/now: A successful Kickstarter from Will Hindmarch. Cyberpunk rpg campaign with shades of Lady Blackbird. Black Hack Cyber-Hacked: Adaptation of the popular Black Hack to the genre. cyber.net.ica: A world of living cyberspace. Has versions for both The Black Hack and Tunnels & Trolls. Cyberblues City: A self-described “mellow” cyberpunk rpg. Cyber-Fate, Cyber-Cthulhu, Cyber Multiverse: Shovelware releases from Starbright. Fates Worse Than Death Rentpunk: A supplement for FWTD that focuses on struggles between roomies. Kill The Buddha: Dystopian Kung Fu Roleplaying: Exactly what it sounds like. Mirrorshades: Another one based on The Black Hack. Modern Adventures: A Pathfinder “modern” supplement which includes the “Silicon Gothic” sample setting. Nexus D20 Cyberpunk: Cyberpunk supplement for the Nexus D20 System. Rewired: A “Quick and Dirty" cyberpunk rpg. 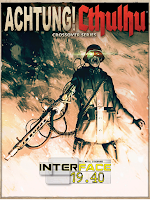 The Cyber Age: Campaign sourcebook for Infinite Futures a Pathfinder-compatible product. 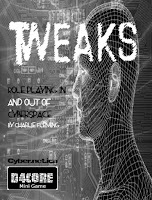 Tweaks: A great rpg of the proto-cybernetic world. Welcome To Neuro City: Fantasy cyberpunk supplement for Arcana Rising. Wield Companion: Includes a section on cybernetics as the animate weapons and items of the Wield rpg.